“Climate and Weather Reporting” With Meteorologist Amber Sullins – Citizens’ Climate Lobby Conference Call Tomorrow! Saturday, April 14th – 11:45 a.m.
With surveys showing a persistent gap between what scientists say about climate change and what the public thinks scientists believe, it’s clear that Americans need more exposure to the views of scientific experts. As Amber Sullins says, the only scientist most people hear from is the person who delivers the weather forecast every evening. That’s why the Phoenix meteorologist talks about climate change during her reports. Sullins, who holds a Bachelor’s of Science degree in Atmospheric Science from the University of Arizona in Tucson, joins Citizens’ Climate Lobby’s conference call tomorrow to discuss how meteorologists are helping the public to connect the dots between climate change and our changing weather. NOVA Video: “Decoding the Weather Machine,” in which scientists explore the question, “How Is Earth’s Climate Changing?” airs next Wednesday, April 18 at 7 p.m. on NET. This entry was posted in Nebraska / Midwest News and tagged climate science education, Climate Solutions Caucus, Meteorologist Amber Sullins, Nebraska Citizens' Climate Lobby Chapters, NET, NOVA, Omaha Together One Community (OTOC) on April 13, 2018 by Helen Deffenbacher. What an incredible week! CCL’s 4th annual Congressional Education Day was our largest November lobbying event to date, with more than 600 attendees registered and more than 400 lobby meetings scheduled on the Hill. Even with 600 CCLers there in person, we know there were thousands more across the country who would have loved to be with us. For that reason, we captured and shared lots of the conference on social media, so everyone could join in virtually. Here is a roundup of the highlights. Place a fee on fossil fuels at the source: well, mine or port of entry. Distribute the net revenues to U.S. households to offset higher energy costs. Include a border tariff adjustment to discourage businesses from relocating where they can emit more CO2. This will also encourage other nations to adopt equivalent carbon pricing. Nebraska currently has 5 CCL Chapters. To learn more, click a link, below, to a chapter near you, or visit CCL’s website to read about ways you can become involved. 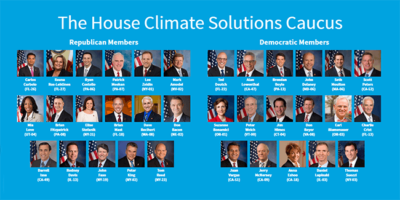 The Climate Solutions Caucus: Currently there are 62 Members: 31 Republicans and 31 Democrats. This entry was posted in Nebraska / Midwest News, NewsBlog and tagged CCL's Congressional Education Day, Citizens Climate Lobby (CCL), Climate Solutions Caucus, Nebraska's CCL Chapters on November 20, 2017 by Helen Deffenbacher. Representative Bacon is a member of the bipartisan Climate Solutions Caucus. Caucus membership is kept even between Democrats and Republicans, currently numbering 60 members. The Climate Solutions Caucus is a bipartisan group in the US House of Representatives which will explore policy options that address the impacts, causes, and challenges of our changing climate. The caucus was founded in February of 2016 by two south-Florida representatives Rep. Carlos Curbelo (R-FL) and Rep. Ted Deutch (D-FL), who serve as co-chairs of the caucus. 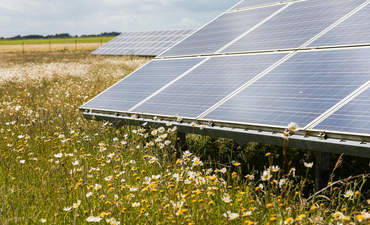 The Caucus will serve as an organization to educate members on economically-viable options to reduce climate risk and protect our nation’s economy, security, infrastructure, agriculture, water supply and public safety,” according to documents filed with the Committee on House Administration. The Summit will explore the political conversations happening across the country when it comes to action on climate change, and how we might solve this global challenge through bipartisanship. Congressman Bob Inglis and Congressman Don Bacon will be the featured presenters. The format of this event will be a discussion with the two Congressmen, moderated by NLCV. For additional details and to purchase tickets, click here. 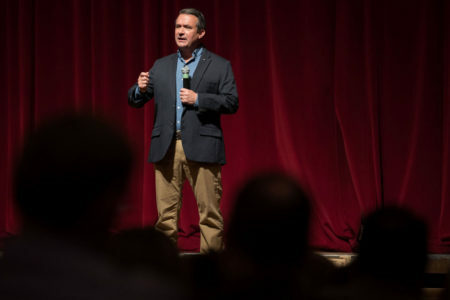 This entry was posted in Community Partners, Nebraska / Midwest News, NewsBlog and tagged 2017 Nebraska Conservation Summit, Citizens' Climate Lobby, Climate Solutions Caucus, Nebraska League of Conservation Voters, Representative Don Bacon on November 7, 2017 by Helen Deffenbacher.